What Batchbook Triggers and Actions are Supported? New Person - Triggered when you add a new person. New Company - Triggered when you add a new company. New User - Triggered when you add a new user. Create Person - Adds a new person. Create Company - Adds a new company. 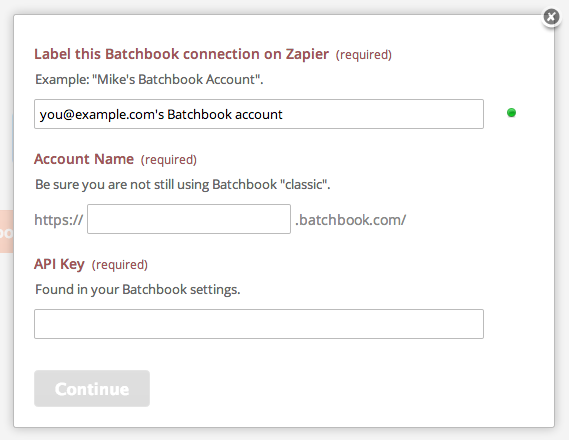 The first thing you'll need to do to get started with hooking up Batchbook with Zapier and hundreds of other services is to add your Batchbook Account to Zapier. 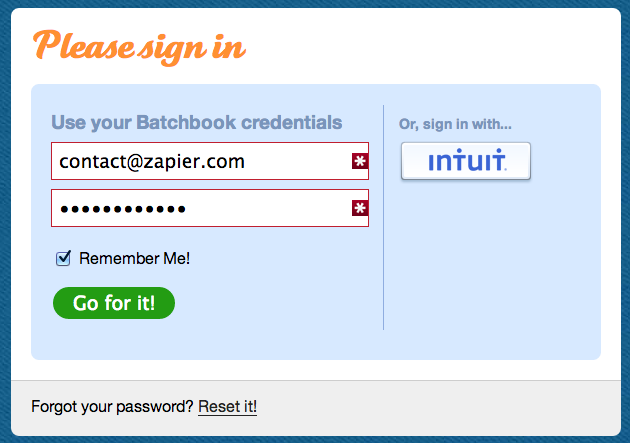 Click to add a Batchbook account in your Zap. You will then log into your Batchbook account to retrieve your API key. To retrieve your API key, navigate to settings > integrations. After retrieving your API key, enter it into the corresponding field in your Zap. Entering your API key finishes the process! Your Batchbook account is now connected to Zapier. The Classic version of Batchbook isn't currently support on Zapier.